We use our leadership position and passion for innovation and collaboration to help build a strong industry. The importance of having a strong construction manager during preconstruction cannot be overstated: this is when the greatest impact on project costs can be achieved. 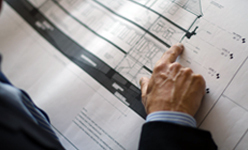 Kinetic understands the pre-construction process well, and has the expertise to review the documents for constructability issues, determine a pre-tender cost estimate and advise of potential cost savings. Our construction experience allows us to review and make changes as necessary for all constructability issues including design, materials, systems integration and life cycle analysis. How will Kinetic help you build better? By providing an open book of project information, costs and budgets so you know where your project stands at all times. While the CCDC-5B form of contract is a recent release, the “CM at Risk” project delivery method has been utilized for many years and has proven to be popular with very popular with owners and contractors alike. The difference between this method and “pure CM” is simple: after tender, the agreed to budget is rolled into a stipulated (fixed) price contract and Kinetic will contract directly with subcontractors. The bottom-line: You get a hands on approach during pre-construction to ensure your project is managed effectively from the start, combined with the assurance and knowledge that the onus is on Kinetic to deliver the project at the stipulated price. Kinetic has completed a number of projects this way and understands the process required to be part of the pre-construction team, providing the expertise needed to successfully convert the tendered budget into a stipulated price contract. 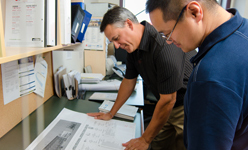 Kinetic’s experience as a general contractor dates back to the founding of the company in 1984. Bill Gyles, Kinetic’s founder, believed he could build a company that could approach and manage stipulated price contracts better. He succeeded and Kinetic takes great pride in our ability to accurately estimate the cost of construction for our clients. We conduct a diligent and complete document review during the tender period and will advise of items that could potentially affect the client’s budget. We take into account a number of factors to ensure risk is effectively managed for all parties. By advising of these items early on, clients and consultants can better anticipate and mitigate potential design risks, before award and construction. How will Kinetic help you build better? Our goal is to minimize risk: for Kinetic, our subcontractors and especially for the client. Having designers and builders collaborate at the planning stage is invaluable. Combine this synergy with the rigor of providing a turn-key project at a fixed price gives many of our clients exactly what they want: a one-stop shop. A true team approach ensures that the owner, designers, and Kinetic all work together to design and build a project that delivers a consistently high level of client satisfaction. Kinetic assembles qualified design teams for each project who have the expertise and experience designing the specific type of building our clients require. 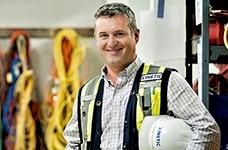 Kinetic has well-established relationships with most of the top design professionals in British Columbia. These valuable relationships enable Kinetic and its design team to provide exemplary construction services in a highly cooperative and productive environment. We assemble a top team of design professionals who have worked together on previous projects and have a proven track record. We listen to our client and respond with project solutions that exceed his/her expectations. We provide a turn-key solution that assumes responsibility for design and construction.